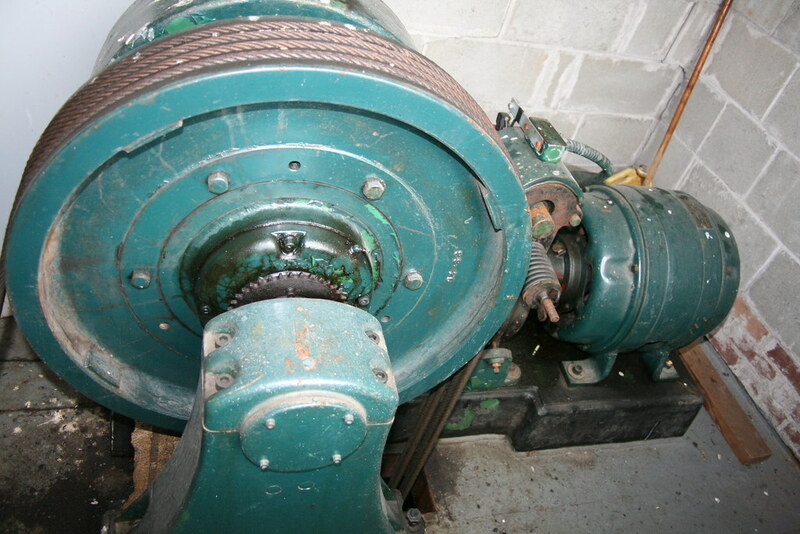 Although it may look small compared to the traction sheave, the motor is the device on the right. It is mounted at a 90-degree angle to the traction sheave, because it drives a worm gear (the "gear" in "geared traction"). It is interesting to note that although the elevator controller and fixtures were modernized, the hoist motor and traction sheave were not. In all likelihood, this motor still meets modern elevator code standards.